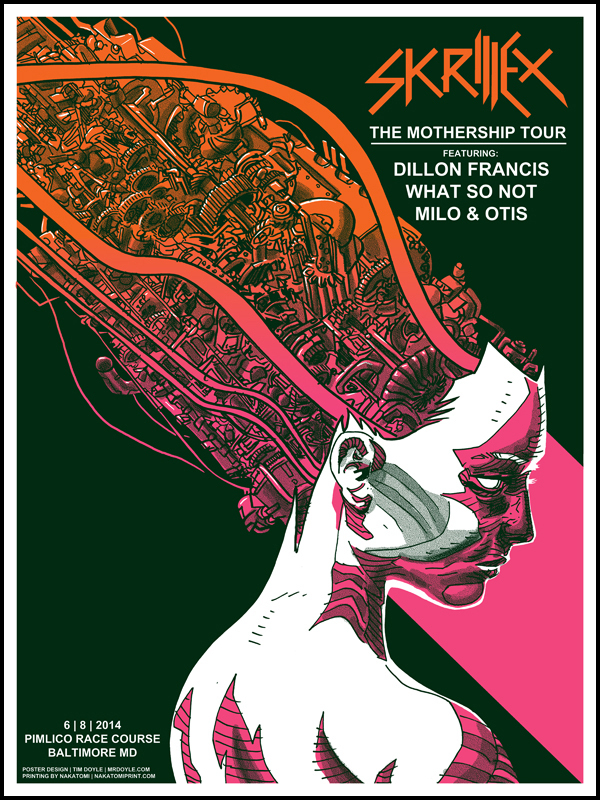 Nakatomi artist, Tim Doyle was yet again commissioned to produce work for SKRILLEX for this coming weekend’s shows! The time-line on this job was crazy- we had to have completed art in hand to begin printing within 48 hours of being contacted, so Doyle jumped in with wild abandon! And we have to say, we like what comes out of his head when you don’t give him time to think about anything! Lesson learned- DON’T THINK, TIM. Both prints measure 18×24 and feature SUPER-BRIGHT split fountains for that color blend effect. 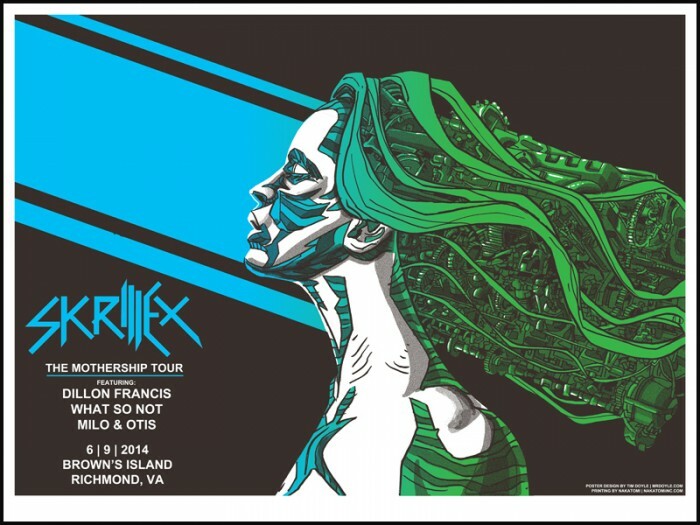 Both measure 18×24, and were limited to editions of 60- available exclusively at the show. HOWEVER, Nakatomi will have 20 AP copies of each up for sale ON TUESDAY 6/10 AT 2PM CENTRAL. You can also see a bunch of behind-the-scenes progress photos of the printing and the actual OG line-art on our INSTAGRAM FEED.